We can be so freaking hard on ourselves sometimes! I’m sure there’s been a time in your life when you’ve done something you regret. Maybe you wish you had said something different or reacted differently in a situation. It’s easy to beat ourselves up after the fact, but it’s really important for your own mental health that you find a way to let it go and forgive yourself. When we hold onto mistakes we remain stuck and end up staying on this wheel of regret which feeds our fears and insecurities. It’s important to acknowledge what you learned from the experience so when you’re faced with a similar situation you know exactly how you would handle it. The past is the past and all you can do is learn from it, let it go and allow yourself to grow. It can be the most painful experiences that really force us to make changes in our thoughts and behaviours – but without those experiences we wouldn’t have the opportunity to learn how to be the best version of ourselves. I hope this weeks video helps to shift your perspective about regrets and allows you to let go of the past and focus on who you want to be as you move forward towards a really fulfilling life! It’s important to remember that every experience you have in life you learn and you grow from. You wouldn’t be the person you are today if you hadn’t gone through tough moments you’re forced to learn from. You were bound to learn these lessons at some point so there’s really no avoiding it. The best you can do is accept them for what they are and allow them to mould you into someone you’re proud of. Also CLICK HERE to check out this article I wrote on how to live with no regrets! Want to start living life to the fullest? 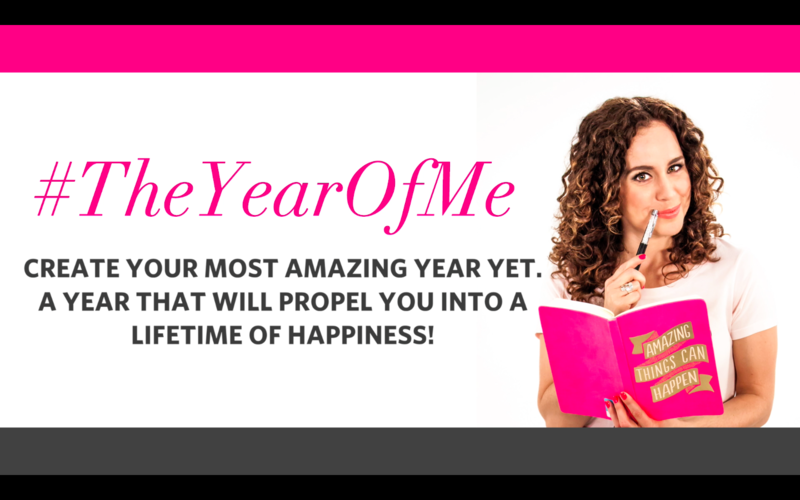 CLICK HERE to check out #theyearofme program!